Dru Blair 2015 Australian Tour, Female Portrait Course. Tridents NEW 50ml Primary set is available NOW via our online store @ airbrushasylum.com.au (Check out the picture within this blog). Airbrush Asylum was fortunate enough to work with Trident to help develop the awesome packaging for this product, we have also developed some 'how to' videos explaining how we used the primary colours to create both artworks, Day of the Dead Girl and Skulls and Flames. 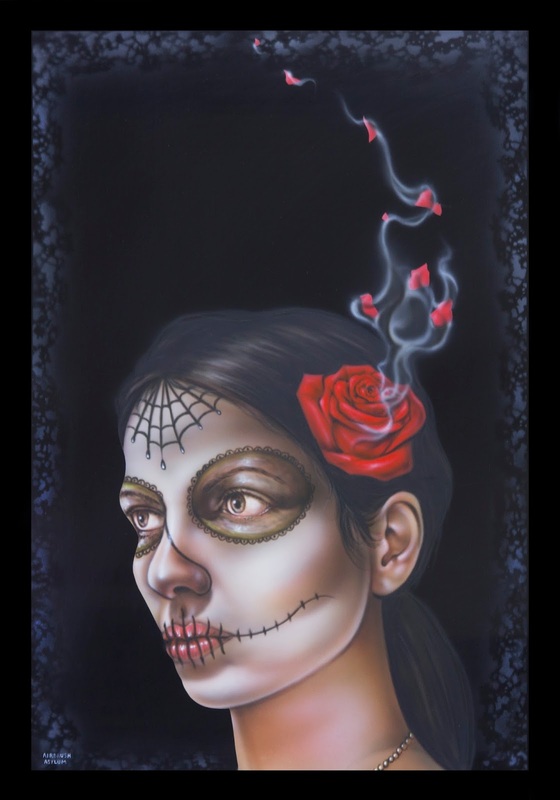 In this video we show you how to airbrush this Day of the Dead Girl artwork, using only primary colours. 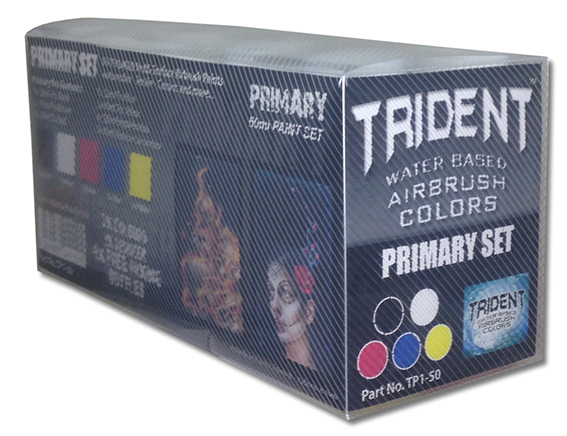 This artwork was specifically designed for Trident's new 'Primary Set' packaging and will show you the steps taken to mix colours, add shading and highlights as well as reducing colours to create hues as well as many other useful tips and tricks. This Instructional video is split into two parts, so be sure to check out Part 1 if you haven’t already to see the previous steps in creating this artwork. 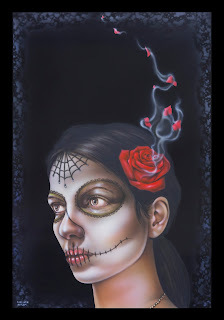 This Instructional video is split into two parts, so be sure to check out Part 2 to see the completed artwork. A step by step video showing you how to airbrush this Bull Skull mural which we airbrushed for Willow & Ivory. 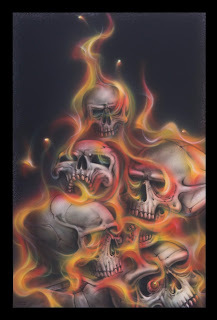 The video covers everything from creating textures, depth, shading and highlights which are essential in creating this Bull Skull mural during this two part video. Check out Part 1 of our latest video Bull Skull Mural.